SOMACA: Formula 1 Italian Grand Prix: Renault is back in the points! Somaca issued the following announcement on Sept. 3. 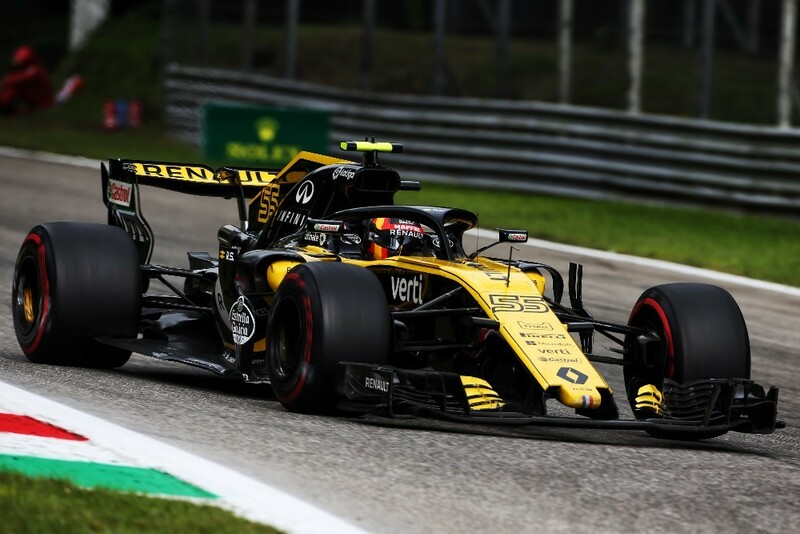 Renault Sport Formula One Team made a comeback in the points with ninth place * Carlos Sainz after a heineken Grand Prix of Italy led drums. Nico Hulkenberg just missed the top ten despite all his efforts since the last position on the grid. Seventh at the start, Carlos made a clean flight to climb to sixth place at the end of the first lap. Carrying a long relay in Supertendres, the Spaniard stopped on the thirty-ninth lap before joining the finish for his first top ten from Hungary. Starting seventh with Pirelli Supertendres (red) worn, Carlos returned to the pits on the thirty-ninth lap to put on a train of Tendres (yellow) new. Twentieth on the grid, Nico started with new Supertendres before passing new tendres at the end of the first lap, then new Supertendres in the forty-first passage. * ranked eighth after the exclusion of Grosjean. "It's always difficult when you start from the back of the grid, but I'm happy today. We really gave ourselves every chance of getting into the points by keeping the Tendres tires for a long time after we stopped early, but that was not enough and we had to give in at the end. After forty laps, tire wear was too great. We were not rewarded in the end. It's hard to go back here, but we can take some good things out of this weekend and go to Singapore with some comfort. " "We can be happy with this weekend in general. Today we gave everything we had and we managed to take four points where we expected to encounter difficulties. It is therefore a satisfaction. Our pace was as good as it could be, but we lacked a bit of speed in a straight line and lost some spots. More positively, we have progressed well since Spa and I feel much better at the wheel. We are now looking forward to Singapore, where we should be more competitive. " "As we expected, the Monza weekend was difficult. The balance sheet is a mix of good times and more frustrating ones. We did good qualifying, with a great performance from the team and from Carlos in particular. The race did not reward us at the height of our position on the grid. It is the reflection of our level on this circuit which gives pride of place to the power and we could not contain the Force India. Nico tried something that could have allowed him to get back into the points, but it did not work. We did everything we needed to do today and we would have liked to be stronger. We are already looking to Singapore, a route that should be better for us. "